As we conclude our look back at the first year of Magic: the Gathering, and the conventions I went to, we come full circle and return to Gen Con for the one year anniversary. When we left off last time, I had just returned from England and Euro Gen Con. The next several months saw an insane amount of activity; as Magic: the Gathering exploded into the market, Wizards of the Coast found itself in a constant state of trying to keep up with the growth. That meant we needed a lot more people than we had before, and they were not all going to fit into Peter Atkinson’s basement. So, in January of 1994, we moved into a pair of buildings in an industrial park, in Tukwila, Washington. My first role, at this new location, was in facilities (making sure we had drinks, snacks, and all of the sundry office supplies, along with other similar logistic duties). Eventually it became clear I was not really cut out for that kind of work and, when Gen Con rolled around, I was in the process of moving over into customer service, where I was a much better fit. During the first half of 1994, it seemed like we were bringing on new people constantly. More members of the Camarilla board of Directors joined the company, as well as several other club members by association. My sister Jillian was hired during this period to be part of Merchant Relations, our retail-specific customer service department. Magic: The Gathering continued to sell at an astounding rate. By the time Gen Con rolled around, we were already on the third edition of the game. We also had released 3 expansion sets: Arabian Nights, Antiquities, and Legends. I felt a special connection to Legends, as I had been brought in as part of the team that wrote flavor text for the cards. We also had two new games to promote. The first was the original game Richard Garfield had approached WotC about publishing, RoboRally. The other was a bit more problematic. It was a Trading Card Game based on Vampire: The Masquerade. At White Wolf’s insistence the game was called Jyhad, as the term was prominent in V:TM. There were several voices speaking out against this name, including Myself and Camarilla founder Matt Burke, who was working at WotC by then. Needless to say we were not heeded, and a year later we had to sit down and come up with not only a new name but how to implement it due to game play considerations. From here on out I am going to refer to the game as V:TES, because it’s eventual name was Vampire: The Eternal Struggle. I could go into great detail about other products being produced at that time, and the various things being worked on, but that would take up the too much space. So let’s get to Gen Con. The event was held August 18th to the 21st, 1994, again at The Milwaukee Exposition Convention Center and Arena, better known as The MECCA center, in Milwaukee, Wisconsin. As stated in the first part of this series, in our previous trip we were a little company off in one of the side booths trying to get noticed. Now we were the highest selling company in the industry, so you can be sure that we were not going to be in a little booth off to the side. TSR had rules for the size of booths at Gen Con. There was a maximum on how much floor space you could have and how tall the booth could be; part of this was to make sure that no booth was as big as the TSR castle. The result was that WotC had a booth constructed that was exactly as big as it could be, under Gen Con rules. It was mostly black, with a central tower that branched out into pylons. Between the pylons were tables that were used alternatingly for sales, game demos, and artist signings. An added bonus was that, due to our size, we were located right next to the TSR castle. Remember that fact, for it is going to be important later. In the previous parts of this series, I detailed who was on the team for that convention, but this time that would be an impossible task. The reason is that we brought almost the entire company to Gen Con. I believe that final count was 104, including artists, and the team from Night Fall Games, which was now Wizards of the Coast UK. I think only about a dozen people were left back at the office. This included Jillian, as she had just had a very bad break up and her dad, her best friend Alex (who also worked at WotC), and I all convinced her that she was in no condition to go to the convention. In hindsight she agreed with us, although I still get a little glare/pout combo from her when it comes up. And to that last point, on site everyone had basic jobs they were expected to do. We had some people who were there to handle sales, others were doing product demos, PR people for the press, the artists would have scheduled time to do signing, and the executives were talking up the business and taking meetings. We also finally had enough people that there was no problem taking breaks. I had two jobs to do. Primarily I was there to demo V:TES which had only been released days before the convention. My other job was to be the liaison between the WotC booth and convention facilities. It had been determined that having only one person do that was a good way to make sure we didn’t have crossed connections, and I was still technically part of the WotC facility team. More to the point, at this stage I was one of WotC’s more experienced convention crew members. The booth had been set up by a separate company, so we did not actually get in to see it until the morning of the first day. As soon as we got there, someone( I think it was Cathleen Adkison) noticed a problem: the way the booth was set up, people were going to naturally form a line that would likely wind its way through the convention floor. We needed to get polls and rope to make some rope lines. So off I went to get rope and polls. This shouldn’t have been hard. I went to convention facilities, which was being run by Gen Con, who then worked with the convention center. I introduced myself, and explained our situation. And I was promptly turned down. The person I was talking to did not think we needed rope lines. After all, how many people did we honestly expect to show up at our booth? I tried explaining how popular we had been at other conventions, but the guy just blew it off and said we would be fine. I returned to the booth and explained what had happened. Since we could not get the ropes, we just went with it, as is. And then the hall opened. I’ve seen animal stampedes depicted on film many times, but this was the first time I saw one in real life. The gaming hordes had been waiting on the other side to be let into the hall, and thanks to the height of our booth and the fact that we were a straight shot from the main doors, we were easily located. As one they thundered down the aisle toward our booth, woe be to any who got in their path. They formed up at the main sales table, but at least sales lead Sue Mohn, using her mommy voice to get them under control, formed a line. This line, as predicted, wound through the convention floor and somehow managed to cut through the TSR castle. Please note that this was not going around the castle, this was cutting through going into one entrance, cutting through the courtyard, and out another entrance. Sue and I spent the next ten minutes setting up rope lines, and getting the hoard to form into several orderly lines. The people in line were very understanding and accommodating, especially when I pointed out it was all TSR’s fault. The rest of the day was a blur. I spent most of my time demonstrating V:TES. There was a lunch break in there somewhere, and I found a nice diner nearby. At the table next to me was Mark Rein*Hegan talking to a potential writer about the next White Wolf game Wraith. After the day was done we all piled into vans and headed back to the hotel. After that it was figuring out where we were going to dinner. I couldn’t tell you where we went on any given night, but I know that every night, after dinner, about 2 vans full of us ended up at the Safe House (and there will be a full write up about this place in the next few weeks). On day 2 we were greeted by an interesting sight: traffic barricades had been set up in a few of the aisles (specifically the aisle that led straight to our booth from the main door and the aisles on either side of that, as an attempt to reduce that stampede to our booth that had happened the day before). Apparently there had been a lot of concern amongst Gen Con organizers about that, this was their solution. Just before the doors to the hall opened, several people with press badges and cameras staked out positions either near the barricades or our booth. They wanted to get photographic evidence of what was to come. The staff at the WotC booth got ready for the onslaught, having learned the hard lessons from the day before. Everyone else cleared the aisles out of a sense of self preservation. What I saw next reminded me of a scene from Jurassic Park, which I had just seen two months earlier, where the Galliminus are stampeding to get away from the T-Rex and are observed turning as a group like birds do. The hoard of gamers burst through the doors with the same enthusiasm as they had the day before. When confronted with the Barricade as one they turned left with no decrease in speed and continued on down past the other barricaded aisle until coming to the next opening, where they turned right twice and continued down at us. This did require some of our friends from the press to quickly flee the aisles. At least this time we had the ropes and polls, and orderly lines were quickly established. The barricades were removed shortly thereafter and were not seen again the entire weekend. The rest of day two was pretty much a repeat of day one, outside of the running of the gamers. The night was basically a repeat of the night before, but for one slight hiccup. Without naming names, in the previous year someone had overindulged one evening and thrown up. As a play on the name of a Magic card, we referred to this individual as the Hurling Minotaur the rest of the convention. Well on the drive back to the hotel after a night at the Safe House another individual earned the Hurling Minotaur title. This would end up happening every year at Gen Con during my time working at WotC. Not a title anyone sought, but hey a lot of us were young. Day three started out much as the previous two days. At least everyone in the hall knew to get out of the path between our booth and the door prior to the hall opening. However, part way through the day we ran into a problem: we had brought a set amount of stock for each of our products we planned on selling. While we had some limits on purchase, they were on how many deck and booster boxes you could buy, not decks. It turned out that the Legends expansion of Magic: The Gathering was really popular, so popular we were running out. Eventually we decided we needed to make an announcement. We had no PA system so someone was going to have to talk in a loud voice. Normally this duty would fall to either Shawn Carnes or myself, as we both have very naturally loud booming voices. However, we both had been doing game demos the entire convention and our voices were already strained. The duty of making the announcement fell on the shoulders of Alex who, while not being as tall or burly as Shawn or myself, has a very commanding voice. Alex was another Cam member, who was now working in the finance department. He was also one of a small group wearing costumes based on cards, in his case the Wizard from the Card counter-spell. At which point all the lights in the hall went out. At which point the lights came back on. Apparently the gods of comedic timing were smiling on Alex that day. Eventually my lunch break rolled around and I joined a group that was heading off site to get food, because you should always avoid eating convention hall food whenever possible. I am not going to name any names of who was with me, due to the information that was shared. I don’t think anyone would care anymore, but I can conceive that it could still lead to issues for some people. Our lunch group was a mix of non-management employees of WotC, White Wolf, and TSR. The TSR employees held the floor during the meal due to the amazing story they had to share. I want to stress that what I am about to write about is the story as they related it. I did have someone else say it was basically true a few years later, but by that time it was hardly the only TSR management horror story going about. Everyone at the table had to swear not to let this get out too widely until after the convention before we were regaled with this epic tale of workplace terror. According to them, just a few days before Gen Con, TSR had an all-company meeting. This isn’t surprising, most companies do that, and TSR was running the show after all. The problem was what was announced to the company at the meeting. Instead of being a prep for Gen Con meeting, or a pep rally, it was a come to Jesus meeting and company reorg. Apparently TSR upper management was not dealing well with not being the sales leader in the hobby game market any more. There was also the fact that the onset of the trading card game market had led to reduced sales of role-playing games overall. TSR had tried to jump on to the TCG band wagon, but their entry was the clearly hastily designed Spellfire, that no one was buying. So clearly the answer was to chew out their staff right before the eyes of the entire industry was going to be on them. They also decided it was the perfect time to reshuffle their brand management. At the time, TSR had 10 or 11 campaign settings for Dungeons & Dragons, and each one had its own brand manager. During the meeting they asked all the brand managers to come forward. As the managers were doing so, they told one of them to sit back down. He was being demoted right there in front of everyone. I don’t remember if his line was suspended or not. The rest of the brand managers were informed that the company was going to shake things up by reassigning all the remaining managers to new brands. Again this was being done at a companywide meeting in full view of everyone. No one could detect any rhyme or reason for the new assignments, other than change for change’s sake. Later one of the office staff, who was tasked with printing up sheets of the Brands and who was in charge now, brought one of the sheets to one of our dining companions and pointed out something interesting; they had arranged the sheet alphabetically by the name of the brand, and noticed that it was also alphabetical based on the new brand managers last names. Of course upper management was not giving any reasons for why they had made the assignments they had, so those left dealing with the changes could only speculate. I know that the folks we were eating with were convinced that the alphabetical match up was the method used as it seemed to be the only thing that made any kind of sense. Needless to say, the moral at TSR was not at an all-time high anyway, and this pre Gen Con reorg and dress down had not done it any favors. After again reaffirming we would not share this beyond the table until after we were home, our little inter-industry group broke up. Those of us at WotC were glad that our management was not going anywhere near that level of crazy. Even years later, when WotC did make some unpopular business decisions at least there was a core of logic to them. The last odd event of day three occurred at the booth. As I said, there were a group of employees who were at the booth in costume as characters from Magic art. People would have pictures taken with them and it helped add color to the booth. We were far from the only booth doing that. One notable costume to be seen, was a guy walking the floor dressed as Batman; DC comics had a small presence at the con and he was part of their booth. Batman was followed around the floor, by what I assume was a PR guy from DC and a kid with a sign stating that Batman was a trademarked charter of DC comics. Any person who wanted a picture with Batman either had to hold the sign, or the kid had to be in the picture holding the sign. When Batman passed by our booth, one of our people in costume wanted to have their picture taken with him. The PR guy would not allow it, because she was in an official costume of a character whose copyright was held by another company. Other than that, the rest of the day ran pretty standard. And the night was a repeat of that previous two. The final day of the show had arrived. Everyone checked out of their rooms and, since we had vans, just brought their luggage with them. It was a slower pace, as Sundays often are at conventions. There was no thundering hoard that morning, as we had already sold out of Legends. We still had people coming to the booth, and elsewhere in the building the first ever Magic: The Gathering World Championship tournament was being held. As the show wound to a close we started clean up and then it was off to the airport, and home. The Gen Con experience in 1994 was a unique one, due to the sheer number of people we brought. It was commented on in trade magazines. The intention was to give anyone who wanted to go to Gen Con the chance to go, but it was looked upon as arrogant by the industry. It was also a huge logistical headache. Due to this, it was the last time you had a convention team of that size go to any convention. It was also my last Gen Con ever. Basically, they had to decide who would go to what conventions and I lobbied to go to San Diego Comic Con every year, so that meant I was never on the Gen Con team again. For me, it was a fair trade off as I was better with the comic con crowd (being more a part of that fandom than a lot of people in the company). And with this we come to the end of my tale of five conventions attended during the first year of Magic: The Gathering. But be back in a couple of days, as I provide some wrap up to this series. In the month following the trip to Philadelphia, Wizards of the Coast continued to grow by leaps and bounds. Several new employees had joined the company, which was still based out of Peter Adkison’s basement. We were gearing up for the next printing of Magic: the Gathering, with what was being called the unlimited edition. Sales were still high and meeting demand was still a major concern. On a personal level by this time my work with WotC had become enough of a draw on my time that I stepped down from my position on the board of directors of the Camarilla. Not that I was totally separated from them, after all two other board members were now working at WotC as well. I also had to, for the first time in my life, get a passport. WotC was attending European Gen Con in England. So I needed to get ready to go overseas for the first time. But before we left an event happened that was unprecedented and would form an undercurrent for the trip. As I have said previously, I spent a lot of my time in the old office acting as receptionist and answering the phone. A call came in one day that really did change everything. It was from Diamond distributing. Diamond is the major distributer to the comic and game store specialty market. Basically all comic and game products that go to the direct market stores go through Diamond. The Diamond rep asked to talk to Pete. Now this may not seem weird, but at this time the person they would normally wanted to talk to was Vic Wertz. But they were still our major distributor and their wanting to talk to Peter was not necessarily a big deal. The way the office was set up my desk was less than 10 feet from Pete’s. So checking if he was available was a matter of putting them on hold, turning around and asking Pete if he was free. For Diamond he was. After the transfer I can honestly say I was not eavesdropping, but there was no way to miss what happened next. I was looking straight at him when he hung up the phone. He looked at me and said “Jeff, go round everyone up. I need to make an announcement.” He was grinning from ear to ear, so I was sure this was good news. I did as asked, and once everyone was gathered Pete shared his news. There was a pause as he let that sink in. And that was the big news. It was big because it had never happened before. The Diamond ranking was what the entire industry used as the official ranking. We were now officially seated at the big kids table. Pete then handed me a wad of money and told me to head to the store and buy Champaign and other items for an impromptu celebration. He set the others to the task of calling in some key stakeholders in the company and any of the artists who lived in the area. So that night we celebrated having unseated the 800lb gorilla of the gaming industry. At this party during a toast Pete made the following statement. And I swear that my memory of this is very clear and these were his exact words. I would remember those words three and a half years later when WotC announced a deal to purchase TSR. I’m sure Pete did too. So we were in an interesting position when it came time for us to fly across the Ocean to attend Euro Gen Con. My thought was that this was the going to be a convention just like Gen Con back in August, just the European edition. Yeah, we’ll get back to that. The convention crew this time was led by Pete’s wife, the company VP Cathleen Adkison. The rest of the team was Lisa Stevens, Vic Wertz, Steve Bishop, Jay Hayes another VP of the company, and me. We were being met in England by a friend of some folks at the company whose name I cannot quite remember, so for our purposes let’s call her Lori. I’m a big guy and I really can’t get comfortable enough on an airplane to sleep well, so at best I had napped a little on the 16 hour flight. I should have known we were in for an adventure going through customs. On the plane we had to fill out a card that included where we were staying. I hadn’t planned the trip so I checked in with Cathleen. She filled it out for me. Not a problem. No the first sign that I was too tired from the flight to really register at first was from the customs agent. If I had been more aware I would have asked what I should be worried about. We had rented two vehicles, a car and a minivan. Almost everyone went in the car, the expectations being Jay and myself. Jay opted to drive; in fact I never once drove while we were in England. Unlike me, Jay had been able to sleep on the plane so he was simply the safer choice. As we drove Jay assured me that it was ok if I took a nap, which tired as I was I readily did. I think I slept about 2 hours. When I woke up my natural question was where we were? Jay told me to check the map in the glove compartment. I will say this for the Motorway system; they make it very easy to find where you are. The roads have plenty of makers and they are color coded. I was easily able to find where we were on the map. The problem was that we weren’t where we were supposed to be. “Where is Pontin’s again?” I asked. I checked the map again. We were definitely not where we were supposed to be. Rye is just south of Hastings. We were heading towards Blackpool. Keep in mind that England is much smaller than the U.S., but to give those of you not familiar with the UK an idea of the degree we were off, it would be like wanting to go to Florida from Seattle and ending up in California. Basically we were on the wrong side of the country. Consulting the map we determined that the best course of action was just to head to Blackpool and head to Rye from there. All together it added about 3 and a half hours to our journey. As you can imagine there was plenty of razzing about it when we finally arrived at Pontin’s. And now we’ve come to the point where I am going to have to explain Pontin’s and why the customs agent was smirking. 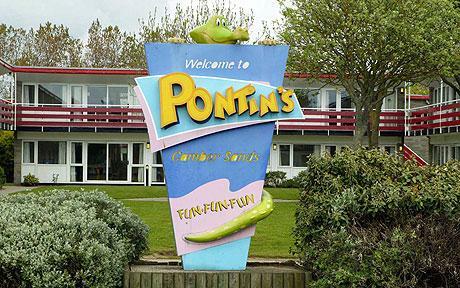 Pontin’s is actually the name of a company that runs what are known as Holiday camps. This particular one was actually in Camber Sands. We were told to go to Rye as it was right next to Camber Sands and was bigger on the map. A Holiday camp is basically a vacation resort that is designed so that you do not have to leave the site once you get there and entertainment is usually provided between meals. We had a different opinion. It started at check in. Jay and I got there late of course but there was still someone at the gate so we were able to get in. At the check in desk they gave us our keys and then provided directions to our chalets’. Now when I hear someone say chalets being American it conjures up images of rustic but comfortable cabins. Here is where we remember that I was now in England, where terms can be different. So like torch is what we call flashlight, and lift is what we call elevator, chalets is what we call motel room. But I was lucky; I had one of the high end chalets that I was sharing with Cathleen and Lori. Steve and Jay were stuck in one where the heater was coin operated. As for the rest of the camp, well I later learned that the site use to be a military base and this was not hard to believe. Besides being gated the main building consisted of a ballroom on the second floor that acted as the dealers’ floor, a connected mess hall where we had our meals. Then first floor had the rooms that acted as the gaming rooms and a pub. At the end of the first day we were invited to the pub by Mike Stackpole who referred to it as a meeting of the escape committee. 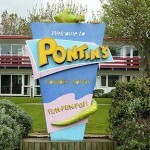 Some of the locals said the joke was that Pontin’s was founded by WWII POWs who missed the camaraderie of the camps. As for the food, well it was filling. Every meal included baked beans, which led to me not wanting to look at another baked bean for two months following the con. The quality was high school cafeteria. But it was there and it was paid for. Our only other choice was to go into Rye after the floor closed, and at that time of night the only place opened was an Indian restaurant. We ate a lot of Indian food that trip. But back to check in. Once I got to the room and got settled I leaned two things that did not make me happy. One was that our chalets did not have a shower. For me this was bad as I basically have to wash my hair every day. And the tub was small enough that dunking my head for rinse was not an option. Fortunately our chalets had a kitchenette so I was able to use a pan to make sure my hair did not drive me nuts. The other problem was my fault. I had forgotten to pack pajamas and since I was sharing the chalets with two ladies sleeping in the buff was not an option. So I basically had to sleep in my clothes the entire trip. The Convention itself was actually a smaller event than I had grown used to working for WotC. There weren’t any official numbers, but I doubt it was over 4000 people. But it was still a game convention being put on by TSR. I remember we were not making a big deal out of having topped Diamond’s sales that month, I think in part to avoid being asses to our hosts, and because those were U.S. sales numbers and we were not in the U.S. at the time. There were no big booths at the convention, so we were just situated on two long tables that were located near the main entrance to the ballroom. There was no back drop and behind us was a half wall separating us from a dining area where game play was taking place. Most of the booths on the floor were run by owners’ of game shops, but there were a few game companies as well. The booth right next to us was one such company. They were Nightfall games out of Glasgow, Scotland. They were the publishers of new role-playing game call SLA industries. The main folks running the booth were Dave Allsop, Anne Boylan, Red Crowley, and Jared Earle. I think Chas Elliot was there too. As we were right there by each other and the convention was actually a slower paced as far as booth activity went we ended up talking quite a bit. This was significant because with the rapid growth of Magic: the Gathering, it was clear that WotC was going to need a partner in Europe. Nightfall games became that partner and several months after the convention WotC purchased Nightfall and renamed it Wizards of the Coast UK. This purchase also meant that WotC took over publishing SLA industries. Eventually WotC shut down all their RPG production to focus on Magic and SLA was let go. Since then the original crew have formed a new version of Nightfall Games and are publishing SLA again. But at the time they were a bunch of people from Scotland that we were having fun hanging out with. Another person that showed up to the convention was Pete Venters. 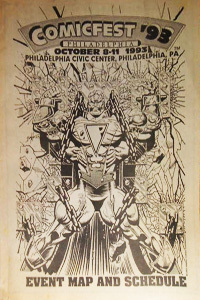 As I wrote about in the last part Pete and I had met a month earlier at the comic convention in Philadelphia. That meeting is what we refer to when we talk about how long we have been friends. However really we were just acquaintances there, Euro Gen Con is when we became friends. Pete was hanging out a lot at the booth as he had been commissioned to do art for Magic by this time. The memory I have of us bonding was when I finally had a chance to walk around the dealers’ floor and Pete went with me. We stopped at one booth and Pete introduced us, pointing out I worked for WotC. The woman working the booth started talking to me and I could not understand a word she was saying. To this day Pete teases me about being my English to English translator. So throughout the event it ended up that I spent my time with Pete, the Nightfall crowd, or Mike Stackpole. I mean the other WotC people were around, but these were the people I took time to get to know at the show. And this leads us to one incident that I would be remiss if I did not share. Remember that I said the dealers’ floor was normally a ballroom? Well it had a stage, and that was where the auction was held. The main reason anyone hung around for the auction was that we were at Pontin’s and so there wasn’t really anything else to do. Most people were seated in the dining area. Pete and I were there and we had dragged chairs from the WotC booth and were sitting with the Nightfall guys at their table. The MC was not at all engaging as a speaker, much less an auctioneer. Also no one was all that into the crappy excess TSR product they were offering as items. So response was overall muted and you could tell the MC was getting frustrated and keep trying to get people engaged, or at least bidding. At one point he was trying to get people to bid on a particularly uninteresting D&D book when he said something that I’m sure he thought was clever. I’m not sure what the overall reaction around the room was to this statement, but that is because it was certainly drowned out by the reaction right where I was sitting. I don’t think he got the reference, but the reaction caused him to back a few steps. After that debacle he stopped trying to be clever. Also the auction shortly ended because no one else wanted to bid on anything. For myself I just made sure to point out that he was the kind of American other American’s despise. My companions assured me that they would not judge me by his behavior and we all departed for the pub. At the end of the convention after check out (or liberation as we were calling it) we said our goodbyes to our new friends. Then the WotC crew had a break of the fellowship. Some of the team was going to be staying an extra day in England and the rest were heading home. And heading home actually meant heading to a hotel outside of London for the night and catching a flight the next morning. I was in the group heading home along with Jay and Lisa. On our drive we hit a point where we all wanted food. Our first stop was pretty much a cliché. We stopped at a small town pub. We walked in the door and all conversation stopped and everyone turned and stared at us. That was a little too American Werewolf in London for us and without say a word to each other we all turned around and left. Eventually in a larger town we found a place that looked to be a chain restaurant. I was just happy to have a meal that did not include baked beans. After that it was a good night’s sleep and then off to Heathrow and home. Next time we come full circle on this tale of five conventions with the one year anniversary of Magic: the Gathering and our return to Gen Con. I had just gotten back from Gen Con in 1993 and managed to land a job at Wizards of the Coast. The week following Gen Con was a busy one. 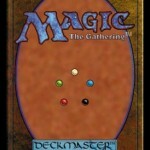 Magic: The Gathering had taken off like a rocket, and the interest had led to a lot of activity at the WotC office. My job in those early days was basically being the office gopher. Mainly I answered the phones, sorted the mail, and ran any errands that needed to be done. It was a flurry of activity as a lot of people wanted a piece of the Magic: the Gathering pie. And that was just the first week. At the end of that week I was asked to go to yet another convention. This time it was Worldcon, or more specifically ConFrancisco, the 51st World Science Fiction Convention. For those not familiar with it, Worldcon is the annual convention of the World Science Fiction Society, the same group that runs the Hugo Awards for Science Fiction and Fantasy works. Worldcon is a traveling event, with a different site every year. Every Worldcon has an election for where the convention will be held two years later; this way the following year’s show can be hyped secure in knowing where it is set. A bid is submitted by a group, and if they win, they will be the primary convention organizers for that event. Each year has its own name, as they are separate events with separate organizers. In 1993 the event was in San Francisco on the weekend of September 2-6. 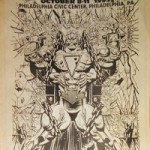 While Worldcon was a general Science Fiction convention with a focus on literature, it did have representation of the wider range of geek culture, including gaming. We had a small booth on the dealers’ floor and unlike Gen Con, we were not sending all the company leaders; mostly because everyone was busy and a lot of them could not be spared to go. This trip was being led by head editor Beverly Marshall Saling. The only other actual employees on the trip were myself and Dave Howell, who, as the lay out person, was also our liaison to the art department. Ron Richardson was also with us. At the time Ron was just a friend of a lot of the original staff, but would later officially join the company, first as a brand manager, and ultimately as director of logistics. There were two other people there with us, but having recently spoken with Beverly and Ron, none of us can remember who they were. The flight to San Francisco stands out in my memory as one of the most interesting I have ever taken. Please know that it was literally the third time I had ever gotten on an airplane. I was seated next to Beverly, who was a bit of a white knuckle flyer. About an hour into the flight, we experienced what is known as wake turbulence, which is when two airplanes get too close to each other and one gets caught in the wake of the other. This caused the plane to drop several feet, and by drop I mean like going on Tower of Terror at Disneyland. For just a moment we were all weightless. Remember how I said that Beverly was a bit of a white knuckle flyer? Do you want to take a guess how she reacted to that? If your guess was that she nearly dislocated my shoulder grabbing onto my arm than you would be correct. This event did verify that I myself have no problem flying, as I was over it very quickly. There is one other thing I want to mention about the flight. Getting a booth for this convention was a last minute thing and there had not been time to arrange for shipping cards to the convention center. Everyone who went had to take boxes of cards as their carry-on. Once we arrived it was time to settle into the hotel room and head over to the hotel for set up. And when I say hotel room, I mean that we had just one room. WotC was still on a budget, and to save on costs they had all six of us sharing one room. We had a rotation on who got the beds. Beverly had an advantage in that her husband Rick was in town for unrelated reasons and she was able to stay with him a couple of nights. Her motivation for this was not just the cramped quarters. Several of us snored. The worst one was myself. At the time I had not yet been diagnosed with sleep apnea. If you have never heard an apnea sufferer snore, let me assure you it is epic. It was so bad that one morning I woke up to find that Ron had covered each ear with a rolled up pair of socks and tied a t-shirt around his head in an effort to block out the noise. Ron made it a point of never sharing a room with me again when we were both at a convention. The only other challenge we faced was relatively minor – our hotel was four blocks from the convention center. We didn’t have a car, and even if we did, parking would not have been worth the hassle. So we had to walk each day. This wasn’t horrible, except that at the end of each day we were already tired, but that just meant we got food after the day was done and then usually crashed. Since we were a small crew, we had jobs to do, so there was not a lot of time for going to panels or other not–WotC-related activities. Beverly set up a schedule for us. She made sure that she, Ron, or I were present at the booth at all times, as we were the only ones she trusted with the cashbox. She also had us use the same basic strategy we used at Gen Con. We limited sales to two decks and four booster packs, and we had people go to the gaming area and the hospitality suite to play Magic in order to get people interested. As for the convention itself, what I saw of it was fun. The guests of honor was Larry Niven, who was carried around the convention in a sedan chair by fans, so that made an impression. The convention also had two people portraying Mark Twain and Emperor Norton. Twain was listed as a guest, and Norton may have been the con chairman based on some of his proclamations. I had to explain who Emperor Norton was to my booth mates. Like the Safe House mentioned in the last article, it would take too long to explain him here, so I will do an article on him later. The spot we had on the floor was near a stage that was set up as some kind of town square where people could sign up and talk about whatever they wanted to. This led to some interesting individuals saying some interesting things in our earshot. The sales of Magic was much like it was at Gen Con, just on a smaller scale. Thursday started nearly dead, with just a few people sort of looking at our booth but not stopping by. Once we had people playing the game out in other areas it started picking up. By Friday Sales had picked up considerably. By Saturday, Magic: The Gathering had been declared “The Game that Ate ConFrancisco.” People were playing it everywhere and Dave and Ron were lamenting that we did not have enough leftover product to use as a prize to set up an impromptu tournament. By Sunday we had actually sold out of Magic. We still had plenty of WotC’s other products available, but no one was interested in them. Working the booth had slowed down to a relaxed pace that was mostly about answering questions about the game and taking information from people interested in getting it for their stores or artists interested in working on the game. Sunday would have just been a footnote to the convention except for one thing. During a point in the day where I was the only person at the booth I was approached by two individuals who were part of the convention staff. After brief introductions they got to the issue they had come to talk to me about. If they had said they were getting complaints from con goers about all the people playing Magic everywhere, taking up all available table space, I would have sort of understood that. This of course was not the complaint that prompted their visit. Ok this had me intrigued. So the problem was, as I said earlier, that we had run out of Magic cards to sell. What we did not understand in the early days was the specific addictive nature of Magic card collecting. WotC had merely mimicked the card sorting used by baseball cards. What we failed to realize was that this specific sorting pattern had been designed to appeal to a specific reward behavior wired into the brain. As a result, people really wanted to collect new cards. Add the reinforcing environment of the convention, and people had a serious jones going on. So we had basically whetted their appetites, and then run out of cards. Several groups hit on the idea of piling into cars and going to the local game stores to see if they had any. Using the local phonebook (this was 1993, webpages weren’t a thing yet), they had hit every store in the San Francisco area. The problem here was that the first group, or “raiding party” as the convention representatives described them, would get to a store and buy up their entire stock of Magic cards. The next group, and all groups after them, would arrive at the store only to be told that they were sold out. Not every person in the second category was gracious upon learning that someone had beat them there. The stores had quickly learned that these Magic Card Marauders had come from the convention, and called the convention center to ask them to do something about it. The convention in turn had sent these two representatives down to our both. Of course I said the only logical thing I could. With that we all had a good chuckle, chatted for a bit about how crazy it had been during the convention, and they headed off to tell the guy playing Norton that we were in, and he could make his announcement. When everyone else got back I told them the tale of the raiding parties. Everyone was amused; especially Ron, who thought it was hilarious. And that was that. The rest of the day was uneventful. We packed up our booth, collected our luggage and headed home. And once we got home everyone had a good laugh about the raiding parties. Next time we will go over my first big comic book convention, and my first meeting with a person who remains a very important part of my life. In my articles about my past with the Camarilla, I have talked about how being on the board of directors led directly to my working for Wizards of the Coast. So I think now is the time to start going over some of my history with WotC. First off I would like to talk about the events surrounding my attending Gen Con in 1993, which was the debut of Magic: the Gathering to the gaming world. I met Peter Adkison, President of WotC, at Courageous/Necrocon, and he invited me, along with the other board members of the Camarilla, to attend the WotC weekly staff meetings/ brainstorming sessions. Several of us took him up on the offer originally, but I was the only one to attend regularly. This was largely due to the fact that at the time I was newly unemployed. Back then, WotC was very different from what people picture today. In early 1993 it was a small gaming company that was run out of the bottom floor of Pete’s house, and his garage acted as the warehouse. WotC had two product lines then; Talislanta, which was licensed from the original creators, and the Primal Order, which was an original creation of Pete’s. At the time I started showing up, the company had just settled a lawsuit that had threatened to shut them down. Due to my consistent attendance I started getting included on a lot of things. I had a chance to pitch an idea for a supplementary product for Talislanta that came very close to being made, and I helped man the WotC table at some local conventions. So I was certainly seen as part of the gang, even though I was not an employee. But I was hardly the only one. There were also Kyle and Steve, who, like me, were part of the group but not employees. Of course there was something else going on at the time that I’m sure everyone is waiting for me to touch on – Magic: the Gathering. I’m going to work on the assumption that anyone reading this knows what Magic is, so I will not go into explaining that. What is worth talking about is what was going on at WotC surrounding it. At the time I showed up Magic was well into development. Art had been created, cards laid out, and a printer engaged to make it. At the time, Magic was actually being produced by a secondary company, Garfield Games, to protect it in case WotC lost that lawsuit. Garfield Games would later be merged into WotC. Around the office, the game was being played with mocked-up cards. I first learned to play the game from Pete himself. There was a lot of excitement about the game around the office. 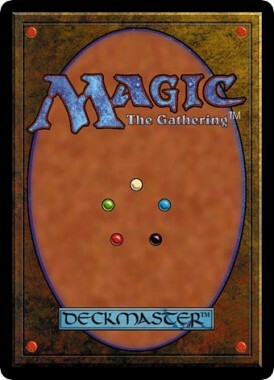 Magic was previewed at Origins during July of 1993. This is also why you will hear people refer to it being released at Origins – it was the first time people had a chance to see it on any kind of mass level. And this leads us to Gen Con. At the time Gen Con was to the gaming industry what San Diego Comic Con was to the comics industry. WotC had a table at Gen Con and it was going to be the big debut of Magic. Gen Con that year was August 19th through the 21st, and Magic was scheduled to release on August 5th. The plan was that Pete would drive to Milwaukee where Gen Con was held and along the way stop off at various game stores to demo Magic. Everyone else would fly to Milwaukee and meet him there. Due to some timing issues with the printer, Cartamundi, who were located in Belgium, the product needed for the convention was to be drop shipped directly to the convention hall. At the time I was not going to Gen Con with the company. I was the newest guy around the office, and tickets had been purchased before anyone had a chance to get to know me. I was fine with this of course. That changed about a week before Gen Con. I showed up to the office to help out with packing and prep for the trip. Pete pulled me aside, and told me that one of the people who was going to Gen Con had to pull out at the last minute. He wanted to know if I was interested in taking his place. Being unemployed, it was not like I had any reason not to go, so I of course said yes. Being the early nineties we did not make any arrangements with the airline; I was just going to use the ticket that was in the other guy’s name. Looking back, it seems so surreal that we got away with that. So we had a small group that was going to Gen Con. I can’t remember everyone that went, but I know for sure we had Pete and his wife Cathleen, VP Lisa Stevens, Art Director Jesper Myrfors, Head Editor Beverly Marshal Saling, her husband Rick, Dave Howell, who did the card layouts, Richard Garfield, and several of his college friends who ultimately formed the Magic R&D department, Steve, Kyle and myself. Even though I was in my mid-twenties this was the first time I ever traveled on an airplane. Some of my fellow travelers made sure I had a proper send off, and by “proper” I mean “did everything in their power to make me nervous.” Their failure was the first sign that I was not a nervous flyer, unlike other members of our team who were more angry at them than I was. Once in Milwaukee we had a little time to settle into our hotel before we had to get over to the Mecca Convention center to set up our booth for the next day. Due to budget issues, we only had three rooms (if I recall correctly), so we engaged in the time-honored convention tradition of room-stuffing. I got very lucky that first night, as Richard and his crew did not show up until the next day, so I got to sleep in a bed that night. I remember being impressed with the Mecca Arena where Gen Con was held. At the time, it was the biggest convention I had ever attended and Gen Con used it to the full 12,700 person capacity. This was a year prior to my attending my first San Diego Comic Con where I learned what a really big convention looked like. As we were a very small company, we were off in a section of the hall that was populated by other small publishers and specialty merchandise vendors. I can’t remember all of the companies around us, but I do remember that the company directly across from us was Inner City Games Designs, and they were showcasing their game Fuzzy Heroes, a miniatures combat game that used stuffed animals and action figures. We were roughly in the center of our row. This detail will be significant later. It was at set-up time the day before the convention that our first problem came to light. The drop shipment of Magic cards from Belgium was short, and by short I mean it was only 10% of what we were expecting. As this was a four-day convention, we clearly would be painfully short of enough product to make any impact. We had plenty of the other games that Wizards produced, but that was not what we wanted to push. While the rest of us set up the booth, the higher-ups had some stressful phone calls with Cartamundi and the shipping company. It was determined that the shipment had been separated, and the shipping company had to work to find the rest of it. As a result, it was decided that we had to limit the amount of Magic cards any one person could buy. The limit was one deck and two booster packs per purchase. This would turn out to be a very good thing as the convention wore on. Somewhere during all this Pete finally arrived from his road trip. He was tired, but energized by the response the game had received turning the store visits. The next day the convention started. While we were setting up for the day we learned that the rest of our card shipment had been located and would be delivered to the convention hall in time for the second day of the convention. With that bit of stress out of the way, the day started. At first things were slow. After all, we were a very small company off to the side of the hall. But there was a plan. We had learned from previews and the tour was that the one thing that would attract people’s attention was seeing the game being played. The combination of the unique game play and the eye-catching art would draw people in. To that end, part of our strategy was to have a couple of us go up to the open play area and just play Magic, and be ready to answer questions about it, including being able to direct people to our booth. This was a simple and very effective plan. By about lunch time we started to see some traffic as people were seeking us out to find the game. This traffic slowly increased as the day went on. It was a simple progression really. People would buy cards, they would go somewhere to open the packs to see what they got, and play a bit. Other people would see them do this and ask what they had, thus bringing in more people. Our initial plan had a viral factor. Of course the original people would come back to buy as we were only applying the limits to that purchase, as long as they did not hang around the booth. Towards the end of the day, we had a steady stream of people and were sold out of the stock we had on hand. There was some nervousness as we had not yet received the rest of the cards, but we decided to trust that the information we had received was accurate about the shipment. With the first day done, it was decided that we were going out to celebrate having survived. This took us to what still stands as the most interesting bar/restaurant I have ever been to; the Safe House. I would go into detail describing it, but it would take its own article, so we will save that for another day. Just know that we ended up there a couple of times. The next day we got to the convention center and were happy to find that the rest of the cards had arrived. A decision was made to continue with the rationing of cards, but to up it to two decks and four booster packs. This was based on the increased popularity towards the end of the previous day. This turned out to be a wise decision, as even with the rationing we did eventually sell out, but had product available the entire convention. And we knew this was true once the doors to the hall were opened. While we were out at the bar, the convention rolled on, specifically the gaming area. People who had bought cards the previous day had spent the night playing and trading cards. These had gotten even more attention from people around them. So when the hall opened, a crowd of people made a beeline for our booth. At first it was in waves. The folks who had gotten into Magic would come, buy cards and go off to see what they had gotten, build new decks, and try them out. This would lead to even more people seeing the game, coming down and buying it, thus increasing the exposure. By Mid-day Friday we determined that we did not need our people going to the gaming area to promote the game. Instead, we needed people at the booth so that others could take breaks. This was necessary as those waves of purchases became more frequent, and eventually we just had a steady stream of people lining up to buy Magic. This led to some other interesting developments that I doubt anyone could have really foreseen. The first was the effect this had on the booths around us. For the booths to the right of us, I suppose it was ok. The line for our booth stretched all the way down the aisle, so people waiting to buy Magic cards would have a chance to check out their stuff. As for the booths to the left of us and across from us I think they were less pleased, as the moment people had their Magic cards they would run off and thus not check out those booth’s stuff. The length of line in our section started to attract attention as people wanted to know what was going on and what all the fuss was about. From this, we started getting attention from the gaming magazines and other publishers. One publisher, Darwin Bromley of Mayfair Games, spent a lot of time around the booth. I think he did know some of the WotC higher ups, but mostly he was fascinated by Magic. Mayfair would later product one of the first non-WotC trading card games, an adaptation of SimCity. It was clear by the third day that we had a hit on our hands, the convention itself helped prove that. As Gen Con is a gaming convention, it has a lot of tournaments going on. One thing the convention provided for these were coupons for five dollars that could be used at any booth. At the end of the weekend the vendors would be able to redeem those coupons for cash from the convention. When Lisa went to redeem ours, she was asked how many booths she was redeeming for. When she said just ours, she was told our stack of coupons was three times the size of any other booth’s. On day three Peter took me out to grab some lunch. Peter told me that it was clear that Magic was going to be huge and he knew that there was going to be more work around the office. Based on my being around and helping, and my performance during the convention, he wanted to hire me to work in the office. I of course accepted. A little later he had the same conversation with Kyle. I suspect Steve also got hired at the Convention, but I was not able to confirm this; but since by the following week we were all working at the WotC office full time, I figure he probably did. So the convention was a huge success for us. The industry started talking about this new game that had captured everyone’s interest, and I had a new job. Next week we will cover the next convention I attended for the company, and what happens when an entire crew tries to share one room.